Is this you when a sales person approaches? Believe me, I get it. People who work in lab-related IT Departments just want to do their job uninterrupted, and the sales people who work with them are always pushing for new products, services, and anything else that will provide them the upper hand to keep up in this extremely competitive healthcare services industry. 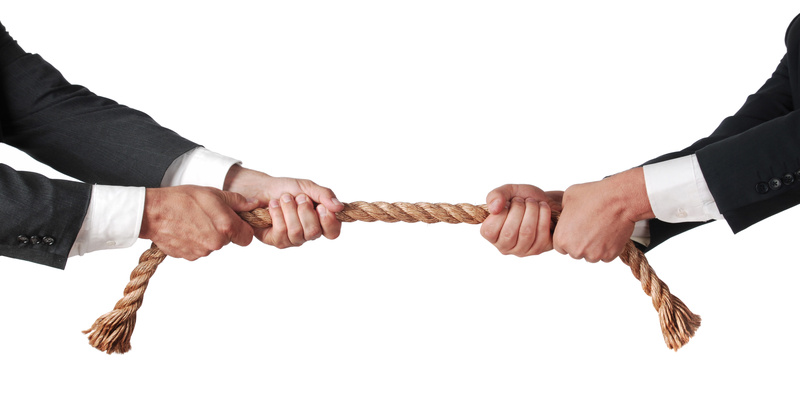 While this seems like the making of an adversarial relationship, it doesn’t have to be. And when it isn’t, it’s a valuable partnership with both sides gaining insight, learning from each other, and ultimately making the task at hand and profit margins better for everyone in the company. Before my current position at U.S. HealthTek, I was in sales and operations for several medical laboratory companies. As someone passionate about bringing in new, profitable business and keeping ahead of the competition, I was determined to raise the bar for the IT department by always requesting new services or products. Because of this, whenever I walked into our IT department, I saw shoulders slump, eyes dart away, and body language that pretty much reflected a polite “not you again” message. Yet it’s a symbiotic relationship, and when it’s healthy it is an extremely positive one. Labs are like sharks: if they stop moving forward, they die. And for those of us who are working to create new solutions, new opportunities to enhance revenue, and new tools that meet the always-increasing demands from patients and doctors, we need the exchange of ideas that comes from conversations between sales, service and IT. When I was in this challenging sales position, too often when I approached one of our IT professionals with new ideas or products, the Pavlovian reaction was “no.” Like a typical sales person who does not take no for an answer, I would take my request to our sales manager, who pushed things up to the VP, etc., making it a convoluted process. What was really needed was a mutually-respected exchange with the IT department. Too often, though, I saw the people in those roles as being islands unto themselves. This was partially because of the nature of the work, but sometimes a backward-thinking CIO actually prohibited sales people from even speaking to those of us representing new ideas. The progressive CIO wants to listen to new solutions and develop resources. I remember one CIO in particular that worked for the same company I did who actually welcomed what the sales people serving our clients had to say. Rather than an immediate “No”, his response would be “Let me get some people together and take a look at this.” Now, to be clear, the answer is still often no, usually due to timing and/or current budget constraints but at least there’s been communication. That alone makes a huge difference for both parties, because both walk away with new mindsets and perspectives that inevitably pay off down the road. 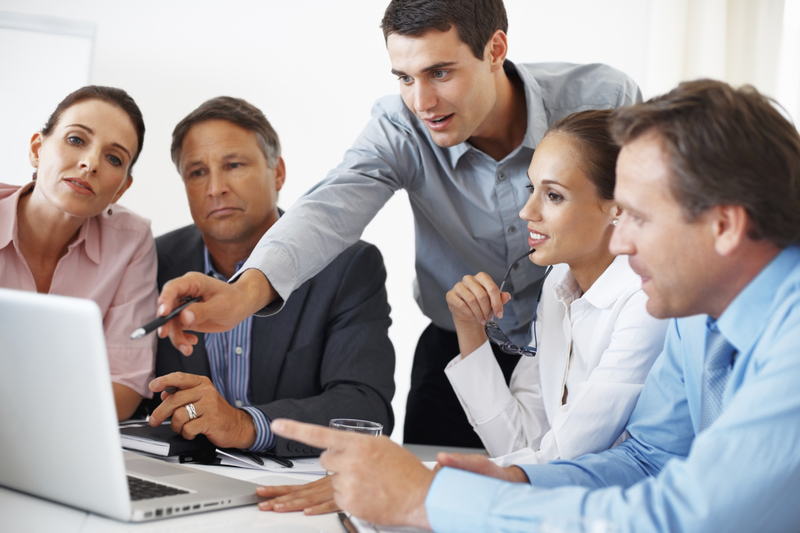 Communication between sales and IT departments can keep the company’s competitive edge. With the consistent political discussions surrounding the cost of healthcare in the United States, the focus on inter-operability and the seamless sharing of information continues to be a very important objective relative to overall cost containment. Eliminating duplication of services and using technology to seamlessly transmit information to all those medical professionals who need it, are mission-critical. Laboratories are not just testing facilities but information providers. To be more competitive, you have to offer more services related to providing that information. As we all struggle to identify and provide the best options for the sharing of information between healthcare providers, it will only be accomplished to the healthcare provider’s satisfaction when sales and service people who are in the field share what they are hearing with a receptive IT department. We should never forget that we (IT) are a service organization, with internal clients and external clients. Both need to be treated with the same importance. It is a different mentality, but as inter-operability becomes more prevalent, it is more crucial. Working together effectively involves open lines of communication that go both ways. It’s the only way that the industry as a whole can move forward. Oh, and remember that CIO I thought was particularly smart about all this? I married him, and we founded U.S. HealthTek together with the goal of embracing that same spirit of communication and great service. See? With open lines of communications, all kinds of good things can happen! Depending on the size of a diagnostic provider, I’ve seen situations where the IT team and the IT leadership may be missing key leadership experience skills. The perfect option in those scenarios? A Virtual CIO. 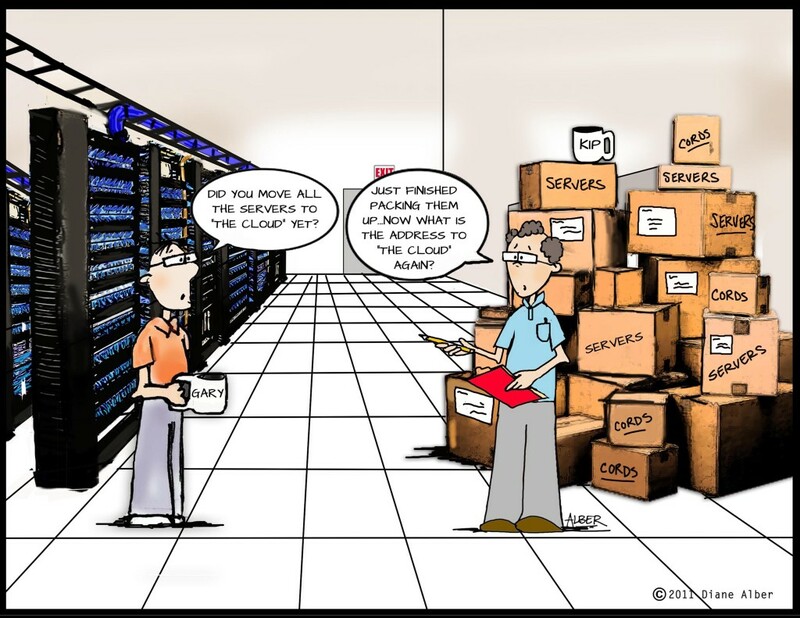 Otherwise, regarding a fledgling – even failing – IT department, I’m often in the position to pose a good news/bad news scenario: The bad news is that your IT department is hurting your business and resulting in lost efficiency, and likely, customers. 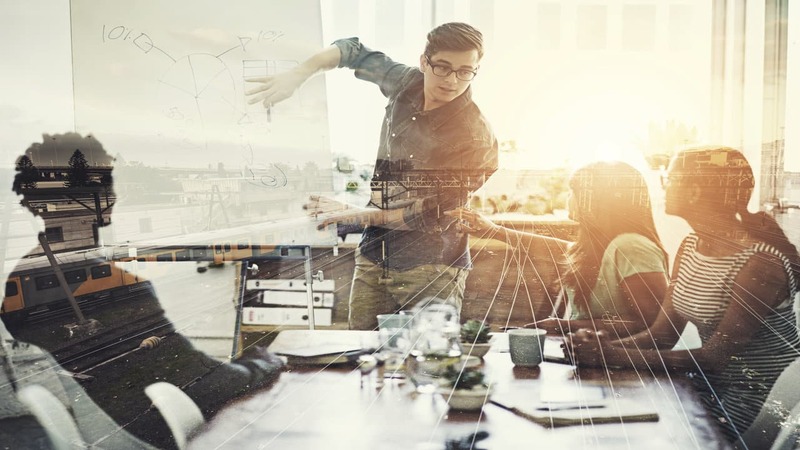 The good news is, a Virtual CIO is a viable solution, and when done with the right team, is the most direct path to a smooth-running operation and greater profitability. The question then becomes, are you, or is your CEO, in a position to step back and explore both the truth and the solution? Re-evaluate business practices – what worked well five years ago might not work so well today. Inevitably, every single company in our industry comes to this crossroads – maybe several times. Lab owners and managers have a great deal in common with entrepreneurs in any field: An idea is hatched, a niche is spotted, and at great risk you start a company (or perhaps decide to dramatically grow one you’re now a part of). There’s some stabilization, clients are acquired, key positions are filled. Growth ensues. But now processes that worked five years ago are simply not holding up to the strain of growth and the demands of today’s customers. Reports are coming out that have errors and inaccuracies, causing customer concern. The product is increasingly becoming sub-par. And you can only ignore it for so long. When do you need to consider a Virtual CIO? In one example, a CEO and his board of directors was lamenting their situation as they had tried to roll out a new product three times, failing every time because of their IT system. They were at the cusp of throwing good money after bad in hiring yet another software architect to come in and “fix it.” Instead, they brought in our Virtual CIO team to come in an evaluate the situation. It became clear to us that it could not be fixed, and that they were better off starting from scratch with a system that served their needs far into the future. It was a successful turnaround. Here’s another example: A successful group of entrepreneurs grew their company into a $45 million-a-year business with 350 employees. They had nine IT people who had built their software in house. As I got involved and spent a year and a half with them, I saw that a Virtual CIO would be their best solution. Their IT people were good but had been hired 14 years ago, when the need was for people who were “jacks of all trades, masters of none.” Typically, they ran on a shoestring budget in the beginning years just wanting to make it through the year, and so building an IT system that would last 5, 10, or 20 years was not on their agenda. So when they hit a growth spurt of 25% in one year, inevitably the haphazard IT system was not able to support their ability to serve their clients. There were breakdowns, system failures, and every day their IT people went to work just to put out fires and dispense Band-Aids. This is where the “Can you handle the truth?” mantra comes in: We got in front of the board of directors, and politely said they were living in the past and were somewhat in denial. We identified what they were good at – they were good at many things – and focused on what was missing. Their adaptation of a Virtual CIO proved to be not only successful, but a cost-savings in the long run. One more convincing example: We were brought in to help a company whose IT manager had suddenly quit. This person had custom-built software that turned out to be impossible for anyone else but him to support. Placement of a Virtual CIO allowed us to jump into the arduous task, which included downloading all the data from an existing unworkable system, converting it, and replicating in a manner that made more sense to any IT professional. They were able to get through that challenge successfully, and the CEO slept better at night having a strong Virtual CIO team in their back pocket. Problems should be identified, categorized, and prioritized. The solutions need to resonate with the laboratory board and/or management team. The choices for a growing lab business are complicated, especially when it comes to their IT departments: They inevitably explore hiring another IT professional to address growing inefficiencies and problems, or perhaps even a new manager. That costs salary, benefits, and time spent training. It’s a gamble. The advantage of hiring expert consultants with years of CIO experience in this specific field is simple: They can quickly identify problems, and can expertly create opportunities to overcome them. Two (or more) heads are better than one – choose an IT consultant company that sends a team. Also imperative is this: A team of consultants is better than a single one. Look for two minds with great, but different, experiences. It’s better to bring in a team of two who offer differing viewpoints between each other who can then, in collaboration with professionals at the company, come up with better options and ultimately the best solution. Through a process of challenging and double-checking viewpoints, you end up with a more robust product, with stronger opportunities to forge successful solutions. After the evaluation of your IT operations, you want someone who will present the “bad news” – or as I call it, the “opportunities to be better.” Problems should be identified, categorized, and prioritized. The solutions need to resonate with the laboratory board and/or management team. Warning: usually the road to being more efficient is difficult. This might involve reducing employees and removing someone who has in the past done a good job, but whose skillset has been outpaced by the company’s growth. Further investment for the sake of the lab’s future will likely be necessary. Sometimes it is hard for the person running the company to truly understand all that is negatively affecting the company; maybe you don’t see that there is a backlog of 70 tickets in inventory, or you’re not hearing when people say your IT system doesn’t do the work the way a competitor does. There can be a tendency to live in the past – processes and personnel that were acceptable, or even excellent, when the company was smaller, may not work now for reasons you may not completely understand. But you will, once you put your Virtual CIO team in motion and they get you to a place where you’re pushing forward, not falling behind. 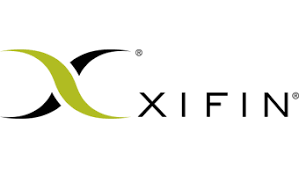 We at U.S. Healthtek enjoy a strong partnership with XIFIN, a progressive health information technology company. We are both committed to educating the community with real-world information that helps us all increase efficiencies and profitability. With that in mind, they have asked that we contribute to their blog from time to time. In return, we’re pleased to feature some of their excellent articles to our audience – lightly edited and annotated. Enjoy! The difference between Application Service Provider (ASP) and Software-as-a-Service (SaaS) delivery models is significant, yet many people confuse the two because they are both “hosted.” It’s important to know that just because a solution is hosted, that doesn’t mean it provides the benefits of a SaaS solution. In a SaaS model, a software application is comprised of a single, integrated code base that is delivered as a service to multiple customers simultaneously and securely, via the web. 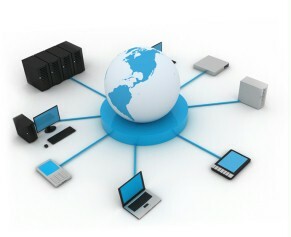 Additional capacity, add-on components, and new or upgraded features can be delivered to all customers simultaneously. In today’s medical lab environment, this is increasing not a luxury but a necessity. It’s increasingly demanded by the clients. One of the most significant advantages of SaaS is that it is multi-tenant. Multi-tenant architecture lets multiple companies share the same instance of a technology solution while their specific data is securely partitioned from other companies. In an ASP, each company has its own instance of the software application and supporting infrastructure, which is much more inefficient and expensive than a multi-tenant solution. Cost. With resource pooling, you save considerably in hardware. This is much more advantageous than a single tenancy – a separate physical or virtual machine – that needs to be set up for each and every customer. Upgrade Effort. What we find in the field is that multi-tenancy upgrades are practically seamless, as all customers are upgraded simultaneously. That new feature rollout? So much simpler with this than under an ASP. As soon as a bug fix, project, or enhancement is ready, it’s released. Backups and Redundancy. Creating redundancy for multi-tenancy deployments is easier and more efficient since the technical challenges are on one system rather than individual instances. SaaS providers fully leverage economies of scale and reduce operational costs. At the same time, multi-tenancy enables SaaS providers to more easily share best practices and knowledge, and to quickly incorporate and disseminate improvements across a customer base. This directly affects the customers’ total cost of ownership in a positive way. For labs looking for a conduit that allows for the pre-scrubbing of claims to ensure the likelihood of acceptance from the patient’s insurance provider, web services are the answer (Generically, a web service is any standardized software system designed to communicate with another system over the web; here, I will be referring to a specific set of web services created for the healthcare industry). 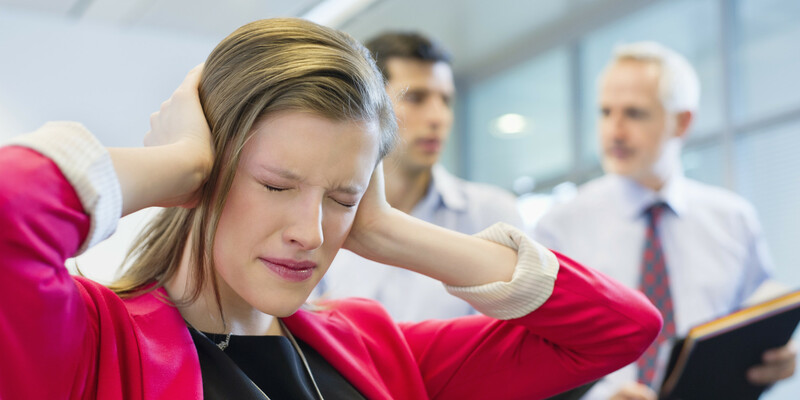 Denials are costly, time-consuming, and are most often caused by human error. Having an entire claim rejected because there’s a single-digit error in the diagnosis field is the kind of headache that the right web services can eliminate. Web services can allow a lab to submit claims, then follow up with quick fact-checking and verification. Services like these can take patient information, ping it, and quickly confirm if the patient in question is eligible. Traditionally, labs transmit the necessary information through Health Level 7, or HL7, which is a set of international standards for transfer of clinical and administrative data between software applications used by healthcare providers. As I tell clients, HL7 is equivalent to writing a letter, putting it in an envelope, and mailing it. It’s straightforward, yes; but it’s one-directional, and certainly not in real time. It also inevitably allows for a multitude of different interpretations in internal formatting. 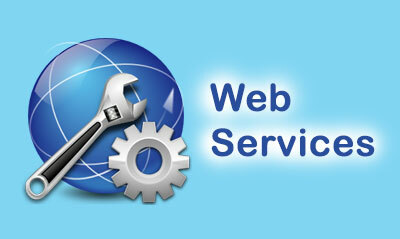 In comparison, think of web services as direct or instant messaging. It’s a live, two-way communication that is a conversation in real time. This approach to billing and verifying patient eligibility is vital to today’s fast-moving healthcare industry. Getting a quick hit back to a patient’s eligibility, for example, benefits the lab, the doctors, and the patients. Using the HL7 method doesn’t allow for real-time interaction and thus causes delays, confusion, and can threaten the financial stability of the organization. What we want is automatic exchanges that are safe and secure. As someone who has spent decades writing code and setting up communications for labs, I can say from experience that setting up a business partner—whether doctor, hospital, or laboratory—with web services is quick and easy, and it produces quick and efficient workflows. For example, if Dr. Smith has to send lab work to Acme Lab, the patient’s ID is entered into the system which then opens up a flood of important information, from address and contact information to specific insurance coverage. In the past, someone would have to submit a requisition manually, and Acme Lab would have to manually re-input it into its LIS. And as everyone who has worked in this industry longer than a day knows, anytime information is entered manually, errors will occur. As you likely know, the stakes are high. According to HIMSS and Medical Group Management Association, 40% of claims have missing or incorrect information, and 50 to 65% of denied claims are never correct and are never re-worked. Industry sources attribute that to lack of time or knowledge. I’ve found that web services like XIFIN’s for its Revenue Cycle Management (RCM) and Laboratory Information System (LIS) solutions are a more efficient way to exchange data. 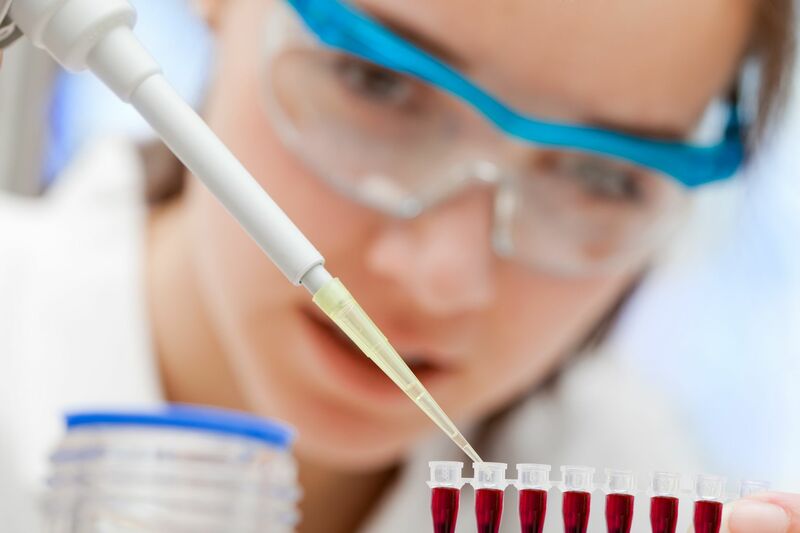 Paired with U.S. HealthTek’s expertise at implementing and leveraging all the advantages they offer, clients get a lifeline to efficiency and profitability that’s perfect for small- and medium-sized labs. We at U.S. HealthTek know how to take a product like this, assist our client in the implementation and educate the lab client on how to effectively use it. This streamlines the implementation of interfaces, making it smoother for a lab to verify and share data. Too often our industry deals with important information involving patient data and insurance verification in a piecemeal fashion. You can try to deal with all those loose ends on your own, lose faith, and start to question everything about your work… or you can turn to a web services system. You don’t have to tell me what the challenges of medical data translations are – I know them well. Risky. Expensive. Takes too long. And you know what? These are all valid points. And here’s something else you already know: it’s an inevitable part of the fabric of today’s medical lab and must be done to be competitive. Here’s how to move forward without flirting with disaster. Step 1: Understand the what and the why. Let’s start with the word “translation” and how it is used in our business. Translation can mean several things, but primarily it is when you convert data from one system to another and you translate that data into a format that the receiving system can handle. It also can mean translating complex data into data that is meaningful, as to a physician, healthcare provider, or a patient. Migration is moving data, which includes translation, to another system. So, the first step is to make sure you work with a team that is going to ask you the important questions that will clarify what you’re doing, and why you’re doing it. Step 2: Minimize the disruption. EMR (Electronic Medical Record) systems store and use data differently. Because software evolves with time, companies outgrow their functionality; too often this means entities are forced to move from one system to And moving to another system is not simple – it is downright disruptive. It typically takes three to six months to recover from an EMR move, depending on the size and complexity of the lab. Minimizing the disruptions requires making sure your new system is built for your specific operational model. But also, there are inevitable process changes that need to happen internally; ones that match those that the system supports. Having a clear understanding of all this prior to migration minimizes the disruption. Is this sometimes a deal-breaker because some physicians/lab managers are resistant to change? Absolutely. So before you proceed, you must get everyone on the same (digital) page. Another note: Those that choose to heavily modify their systems have a more difficult time because the software design may not support the workflow. Keep it reasonable. Step 3: Work with a team. This is not the time to do business with a guy selling systems out of a van down by the river. The amount of knowledge and experience to do this successfully requires a team of experts that come from a variety of related disciplines. You want people who have real previous lab experience, and who come to the table with different perspectives to ensure a smooth execution. Step 4: Minimize your costs through tough negotiations. This is an expensive endeavor. The licenses alone for the new system are not cheap. Installation costs may be as much if not more than a year’s worth of licenses. But it doesn’t have to be prohibitively expensive if you have someone working with you who knows how to negotiate for the best possible fees. Have someone in your corner who understands this process with an understanding of your bottom line. Step 5: Don’t let someone sell you a system that is not right for you. For many, data conversion never seems to work right. Certain data field formats may be designed for a unique system and have specific relationships with other data elements. Conversion programs just never seem to get everything right. This often requires manual cleanup, one piece at a time. 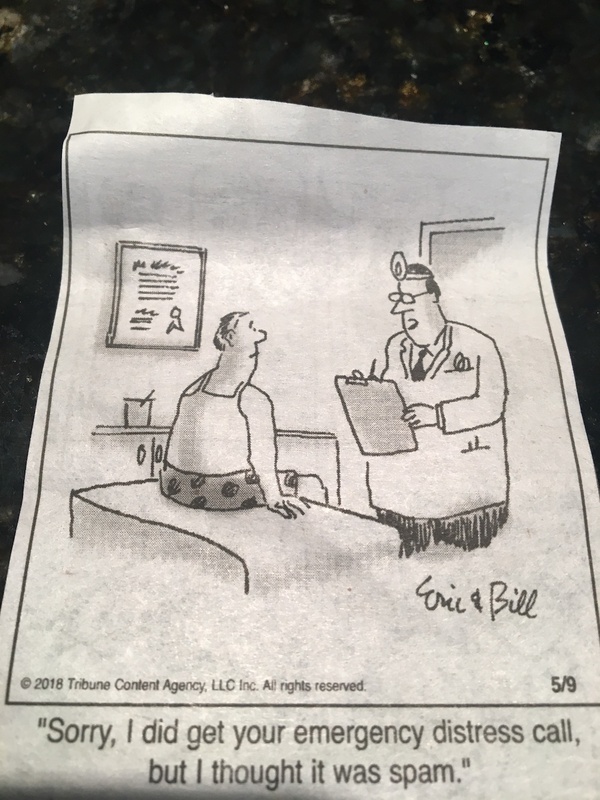 This is not to say that a “one size fits all” situation is impossible – but working with specialists who have the depth of knowledge to comprehend all options and who have the ability to provide solutions for the inevitable hiccups is a critical piece of the puzzle. Step 6: Stay on track. This has a lot of moving parts, so make sure you’re working with a project manager who can keep it all on track. And this is more than just scheduling on an Excel sheet – it involves clear lines of communication to all key stakeholders. ‘Surprises’ can derail a project. Make sure you have a complete, focused approach to the project. What happens too often is that a lab will assign the responsibility of a system conversion to someone already on the payroll, but to that person, a system conversion is just another responsibility – and one that inevitably ends at the bottom of the in-box. This is one of the single, biggest causes of disaster, and one that ends up costing the lab a lot of money. Step 7: Create as smooth a process as possible. How is it being transitioned? In U.S. HealthTek’s experience, having our own Cloud Data Exchange to help facilitate this migration is essential for success. We also have industry experts on instrumentation, lab process flow, compendium cross-referencing and maintenance, to name a few other products that we can bring to the table if needed. It can be overwhelming, and the stakes are high, but disaster can be avoided by spending the time to find the right, dedicated team. Research, prepare, and ask a lot of questions, and you’ll have a smooth ride. On Tuesday, U.S. Healthtek’s President and CEO Cristy Reiter heads to Atlanta to participate in the Lab Quality Confab Process Improvement Institute event, which starts today and goes through Thursday. In its 12th year, this is our first time participating in it – in fact, U.S. HealthTek is a sponsor of the event. Its mission is our mission: to boost quality, cut costs, and add value for those who work in and manage medical labs. There are dozens of sessions tackling topics such as lab design, workflow processes, and useful tools and informatics. 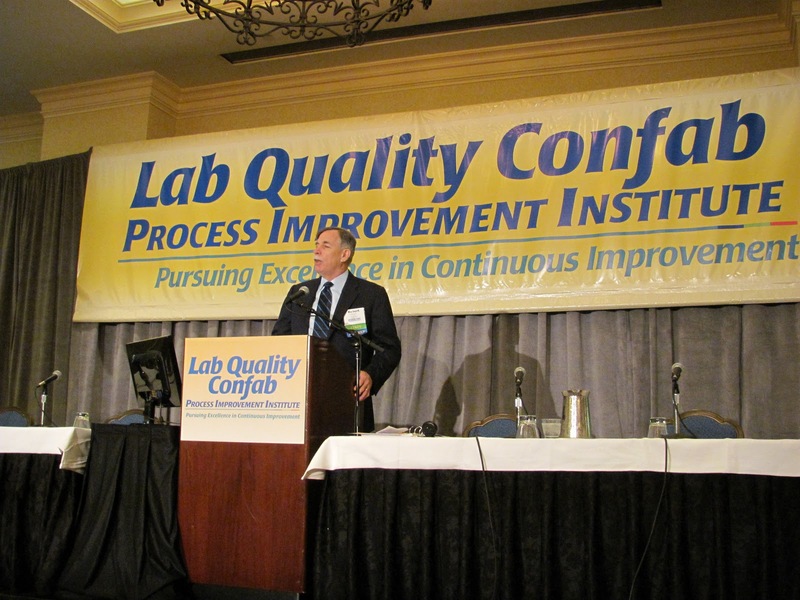 The Dark Report’s Robert Michel at a previous Lab Quality Confab. The lineup of topics and speakers is stellar (which is no surprise as Robert Michel of the Dark Report is involved). On Wednesday the 10th, the Master Session is “Patient Safety, Error Reduction, and Quality Improvement: Successes and Lessons Learned from 10 Years of Lean, Process Redesign, and Hospital-wide Staff Engagement.” Dr. Milenko Tanasijevic, of Harvard Medical School, takes on this heady topic — an issue we know well here at U.S. Healthtek. But I maintain that in this industry, it’s important to understand that the “class” is in constant motion. It’s a shape-shifting collection of ever-improving data and advancing technology fueled by the evolving needs of patients. So I’m only slightly exaggerating when one finishes a session on “best in class” procedures, that “class” has “graduated” and moved on by the time you’ve had that next cup of coffee! To put it another way, the goal of “highest current performance” is in fact a journey, not a destination. And that’s exactly what makes this business exciting to us. Another point I’ve learned in working with the diverse group of clients U.S. HealthTek has is that what is best in class for one lab isn’t for another. 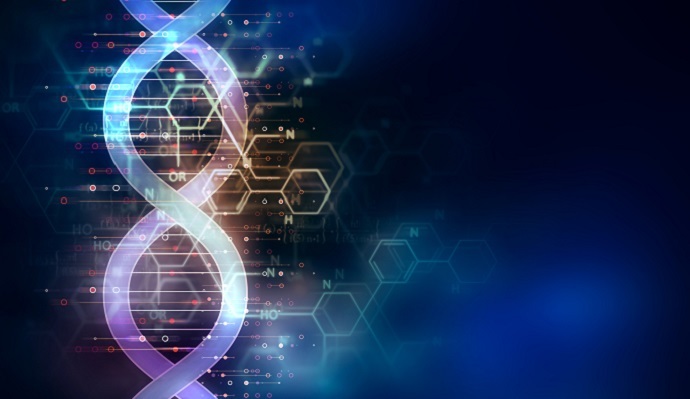 At the end of the day, it’s always going to be about constructing a custom set of procedures using adaptable technology, because every lab and client is unique – in a class of its own, if you will. At the end of the day, it’s always going to be about constructing a custom set of procedures using adaptable technology, because every lab and client is unique – in a class of its own, if you will. This makes gatherings like this and their topical workshops even more critical for those who do the important work in our medical labs. Specifically for us, it offers up the opportunity to network with lab management and quality assurance people. We’ve been getting more interest in our Supply Ordering Application and CRM software, and we’ll be looking for feedback on those areas and no doubt having interesting conversations on those topics. Related, you may have noticed that you’re seeing U.S. HealthTek get out and be part of more of these professional events. We understand that the more we get out into our public square, the more we meet face-to-face with those working around us, and the better we are at achieving and exceeding that benchmark of quality for our present and future clients. If you’re going, make sure you say hi to Cristy; if not, we’ll no doubt come away with perspectives that make their way into a future article. 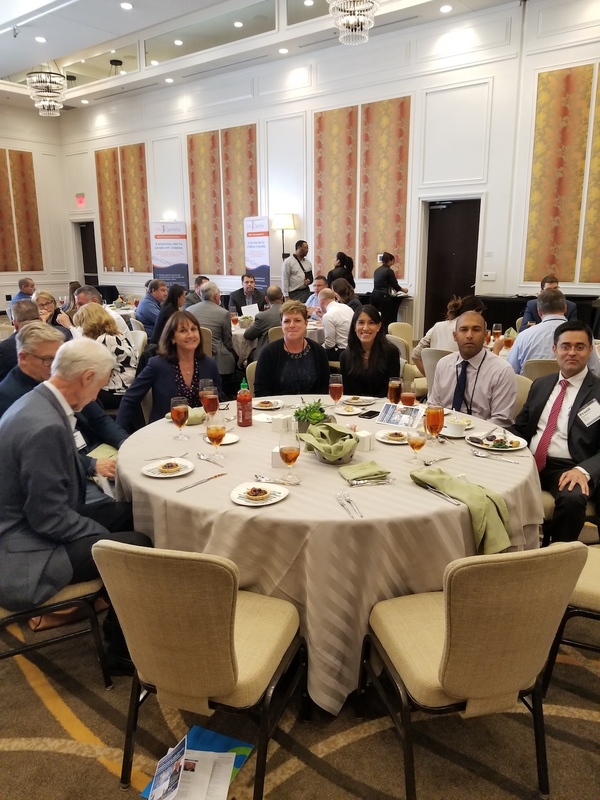 We are back from and have had time to digest the amazing about of information exchanged at last week’s Precision Medicine Institute convention on September 12 and 13 in Nashville. We were so enthused by the topic and the people putting it on, that we signed up early as sponsors. I explained the importance of such a conference in my last blog, and while all of us at U.S. HealthTek are busy following up on everything that happened there, I wanted to give a brief report on the happenings. Dinner at the conference with fascinating colleagues. It was a good conference that was extremely well-attended. That’s impressive, especially considering it was the first one held by our industry. It certainly exceeded everyone’s expectations. One of my biggest takeaways from the conference is that now that we have the human gene sequenced, we need to use the data to understand the relationship between a human gene and medication efficacy. We were told that 50 percent of prescribed meds are not effective and that there are hundreds of thousands of deaths each year from prescriptions that cause bad reactions in patients. 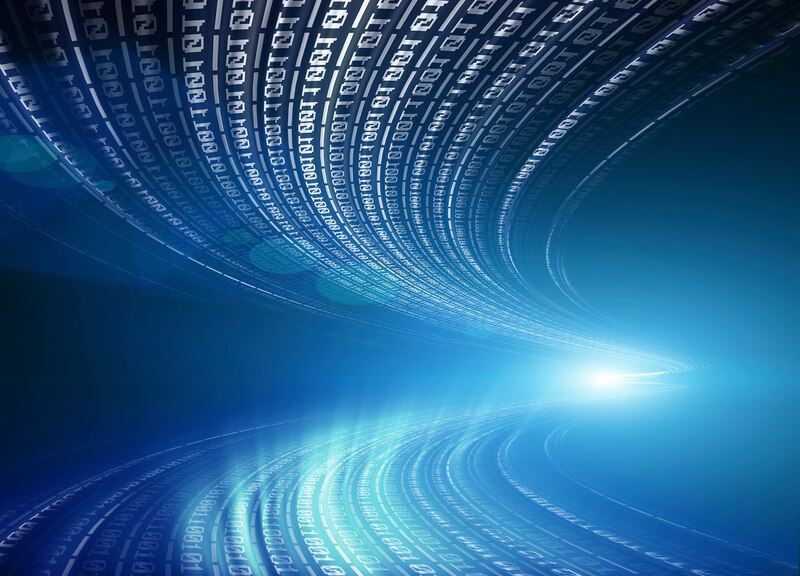 So it’s a serious topic, and one I believe our industry needs to step up for, because there is no question that data plays a big part in the equation. Yet the volume of data is huge and is far from being fully mined. We knew this going in, but it was made all the more clear in the seminars and talks by day, and from the conversations had by the professionals who gathered there by night. The researchers need the data in order to do the studies that change the way medicine is practiced. When a doctor is going to prescribe a drug, knowing how it will react with the person by looking at their genes before he/she prescribes it could potentially save thousands of lives. Another challenge is how do you get this data to all the physicians at the time they are prescribing? The medical industry is already challenged to deliver basic info like getting the patients’ full medical records to the doctor efficiently and accurately … so it can all be overwhelming, but that doesn’t mean we can shirk from the enormity of the responsibility. Then there are the legal challenges which, in the general field of genetic engineering, are already well-documented. If a doctor has access to a patient’s gene sequencing data, is he/she bound by law to use the information in advance of treatment? Think about 23 and Me and ancestry.com; people get this sequencing done now and the usage is growing. If the patient wants it included in their patient record, what is a doctor supposed to do with it? They already have issues remembering all the potential gene/drug interactions. It’s a lot to shoulder, but it’s where medicine is going, and we are excited to be part of this new field. On a personal note, we were glad to get some time to sit down with the Dark Report’s Robert Michel and exchanges thoughts and observations on our industry as a whole, and we’re looking forward to doing more together. Otherwise, everyone there was friendly and incredibly engaged. We look forward to another such conference on this extremely important topic happening again. You can bet we will be there. The topic of “precision medicine” as a whole is one of the most exciting health care developments I’ve seen in my career. The U.S. National Library of Medicine defines it as “an emerging approach for disease treatment and prevention that takes into account individual variability in genes, environment, and lifestyles for each person.” To many, the concept might seem relatively new, but it certainly is not to many of us in our industry. We know as developments continue it will revolutionize healthcare by becoming the opposite of a “one-size-fits-all” in favor of a specificity that will mean better, more accurate, and more appropriate care in a manner that further negates the opportunities for human error. Dependable software solutions, secure cloud data exchanges, etc., have always been important; these new medical breakthroughs make them more so. There’s a side of all this that U.S. HealthTek is especially concerned about and invested in: the data of it all. We’re in the business of bringing strategic IT data to labs and hospitals, and the safe, accurate, transfer of information is increasingly not only a matter of allowing a lab to run in a more profitable, efficient manner, but to distribute more data with greater accuracy. Dependable software solutions, secure cloud data exchanges, etc., have always been important; these new medical breakthroughs make them more so. The trend toward Customer Relationship Management (CRM) systems is strong, and for many good reasons. First and foremost, labs that adopt CRM quickly see a cost and time savings that can be substantial, strengthening an organization’s bottom line. It’s a potentially important facet of a modern laboratory operation. Across the nation, clinical laboratories and anatomic pathologists face two common challenges. One is shrinking lab budgets and less payment for lab tests. The other is the need to maintain physician and patient services at a high level. Both factors are fueling greater interest in lab and healthcare-specific customer relationship management. Stated another way, labs and pathology groups are being squeezed by the need to operate on less revenue, while also increasing their quality of customer service to retain existing clients and expand market share. CRMs are a proven way to achieve and sustain superior levels of customer service in a surprisingly cost-effective way. In fact, many labs that implement a CRM find that the return on investment comes swiftly, in just a few months. But possibly since the invention of the slide rule, potential adapters of a new technology have held legitimate concerns as to what the “trade off” is. Let’s just say that if you work with someone to implement a CRM system that doesn’t have “the personal touch,” and that can’t spend time listening and asking questions to learn about the specifics of your individual operation, then concerns are certainly justified. There are lots of options out there as far as CRMs go. There are the systems that resemble more of an Enterprise Resource Planning tool which have more than just customer information such as analytics, portals for client and customer communication, customer support features, etc. An example of this would be SalesForce.COM and HC1. Both are great systems where you pay for the extra features. There are many generic CRMs available on the market, and many are excellent tools. But only those asking the right questions will know which path in this fork in the road is right for you. Otherwise, training and implementation are the keys to success. Regardless of how good the CRM is, the way your associates are trained and how the CRM is configured will make or break the implementation. Many CRMs fail, not because of the software, but because of the implementation. Successful CRM execution happens when the organization’s culture is changed to use the CRM in the critical customer-facing departments. You can’t just use the CRM sometimes and make it work. Again, implementation needs the personal touch. U.S. Heathtek’s CRM is a fully functional Customer Relationship Management system that is affordable, can be tailored to the operational needs (such as connecting to both the lab and billing systems, etc. ), and has both an integrated supply order and online compendium module. Regardless of whether you use our CRM or another brand, getting it installed correctly and having it supported through and post the process will make or break the adoption. So my advice? Commit to a CRM solution, but don’t pull just anything off the shelf. Partner with a consultant who knows that communication is key, and who clearly understands that while it’s business, it’s also personal. When describing this industry to “outsiders,” they are often surprised to hear me say what a small world it is – but it’s true; there aren’t many in this business that I’ve yet to cross paths with. That is wonderful, as I consider myself lucky to be in a business with so many fantastic professionals. 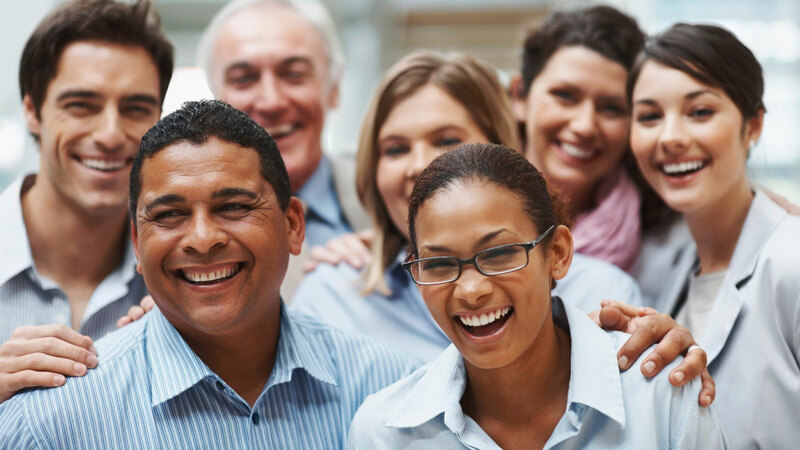 On that note, I have to say one of the most enjoyable parts of our work here at U.S. HealthTek is helping labs solve their personnel challenges with our personnel. Need support? U.S. HealthTek is here for you. Labor-wise, this can be a volatile business. Sudden shifts in the market, the award of a large insurance contract or the needs of a long-time client can create sudden demand for personnel (and every day there seems to be another article on how the job market is tightening). Any problem beyond a leaky sink can require a solution by a highly experienced expert, and it always needs to be done yesterday. Or sometimes what is needed is a relatively short-term option to implement something specific to make your lab run smoother. Thing is, we ain’t makin’ sandwiches, so hanging out a “help wanted” sign on the door isn’t going to… dare I say, “cut the mustard?” No? Okay I won’t. 😉 But you get the idea. And in addition to needing a set of highly specified proficiencies, labs often need maximum flexibility. Going through the complexity of hiring with all it entails, only to have to let that person go a year or two later when the market shifts again (or the project is complete) is as unappealing as a day-old tuna sandwich. Our solution? Let our people be your people. Virtual CIO. Your local temp company can help when you need someone to do data entry, but what about someone at the opposite end of the proverbial food chain? We have executives ready to come lead with you and work with your team, who can quickly plug in and take a leadership role at a fraction of the cost and time of hiring some sought-after executive. Project Management. To use the lingo of the sport of the season (baseball), we have “utility” players who can fill in the gap on your existing team. Whether it’s EHR implementations, lab instrument interfaces, test mapping or even an implementation of one of our own solutions, let us provide you with a member of our team, rather than you having to hire someone full-time and inflate your payroll long-term. Laboratory Information System Conversions/Implementations. We’ve got experienced, savvy people standing by who have a comprehensive understanding of the challenges you face. Our people can assist with the installation of related infrastructure, configure functionality, file maintenance the necessary files, conduct staff training, perform data conversions, and develop and implement compatible software solutions where missing or necessary. As the song goes, we all get by with a little help from our friends, so have your people call our people. You’ll be glad you did – and so will we!